The northwest side of the park is an island better known as the Bandarjhola and it is surrounded by the Narayani River . This island consists of forest, tall grassland, marshland, many inlets and oxbow lakes. This island is really unique in a sense that it has got a good combination of nature and wildlife. 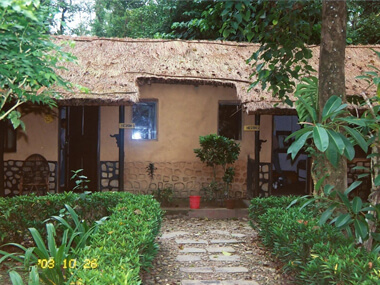 There are so many lodges inside the park and they offer the package to experience the exciting life o f the jungle. Besides its remarkable lodging and recreational options, it also offers an opportunity to observe the wild life. It is probably the best natural habitant in the park. You will also have many opportunities to see a wide variety of games and avifaunal species in the park. You will come to notice the wildlife with the unique topography of riverine forest, interspersed with large tracts of grassland together with plenty of water within proximity makes it a perfect setting for wildlife to thrive. This location will be the fabulous as you notice the many species of flora and fauna. It includes the programs like elephant safaris, boat rides and jungle walks escorted by our expert naturalists, guides and mahouts. Chitwan is located in the sub-tropical lowlands of Nepal . You need to carry light clothes as the days are quite warmer herein summer. During winter (early November to February), mornings and evenings are cool, requiring a woolen sweater or a warm jacket. You may bring along a sun hat and glasses, swim-wear, binoculars, flashlight, sunscreen cream and insect repellent, which will come handy for outdoor activities. We recommend neutral colored clothing and comfortable walking shoes are essential. It is five hours pleasant drive from Kathmandu to Chitwan by car or bus. The path goes along the Trishuli River and it offers you the changing landscape. It is just 20 minutes flight to reach Bharatpur from Kathmandu . Upon you arrival at Bharatpur airport, our local staff will transferred you to the resort. Arrive, meet and transfer via boat across the Narayani River to Island Jungle Resort. On reaching resort, our guest relations officer will brief the guest. 9:30 a.m.: Crocodile walk. A 45-minute walk through grassland and forest upstream the Narayani River after which, board boats to observe crocodiles along the banks while floating back to the camp. 5:30 a.m.: (Option 1) Boat Excursion to Amattari Ghat followed by a full day Nature Trek to the Churia Hills. Pack lunch en route and return by land rover / jeep. 3:30 p.m.: Boat excursion to Amaltari Ghat and return by jeep / landrover. 5:30 a .m. : Wake up call followed by tea/coffee. 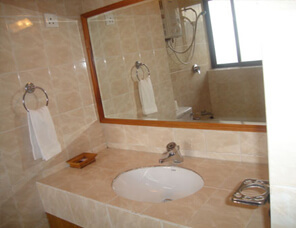 Accommodation in twin bedded rooms with attached toilet and hot / cold shower. All Activities: Elephant Safari, Boat Ride, Bird Watching, Nature Walk, Village Visit and Cultural Tours , etc. Government taxes, park permit fee & service charges.